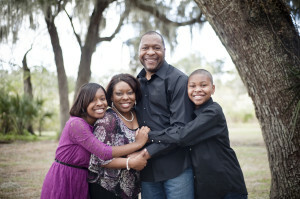 David M. Mobley, a native of Chicago, Illinois, is the founder and pastor of The Sanctuary Church of Lakeland, Florida. He accepted his call to Minister the Gospel of Jesus Christ in 1998 and was licensed in Miami, Florida. Not only is David a powerful preacher and teacher of the Word of God, he has been anointed to minister the Word through song. He has worked in ministry for more than 25 years. As an accomplished song writer and musician, he and his group, Psalms of David, released their first live CD project, “It’s In My Praise,” in November 2009. His song titled, “Holy Spirit Rain On Us” is also featured on Shekinah Glory Ministries (out of Chicago, Illinois) Jesus CD. The Jesus CD was listed in the top 200 on Billboard during October 2007 and continued to stay in the top 10 on Billboard*s Gospel Chart for most of 2007. By the favor and grace of God, David has ministered the Gospel through Word and song throughout the US and overseas. His model: Building a Holistic Approach to Music Ministry has been shared with churches, military bases and the National Conference for Pastors and Christian leaders. David received his B. S. Degree in Zoology, with a minor in Chemistry and Music from Alabama A & M University. He began his teaching career in 1994 in Dade County, Florida, as a high school Science teacher. He later moved to Broward County, Florida, where he taught middle school Science. While teaching in both Dade and Broward County Public Schools, David coached boys and girls track, instructed the gospel chorus and provided piano accompaniment for the schools concert chorus and band. In 2002, David moved to Lakeland, (Polk County) Florida and began his administration career in education. He served as Dean of Students at George Jenkins High School for 4 years. Upon completion of his M.S. Degree in Educational Leadership from Nova Southeastern University, David became the Assistant Principal of Administration at Kathleen Sr. High School, where he served for 2 years, served as an Instructional Leader with Florida Virtual School for 3 years and served as Assistant Principal at Lakeland Senior High School. 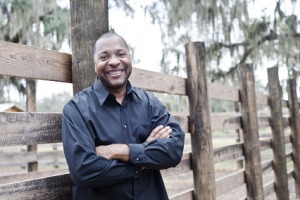 David’s passion for education and instructional design, has lead him to become a part of Publix a fortune 500 company where he serves as a Senior Training Developer within Publix’s Leadership Development Team. In his scarce spare time, David enjoys reading, golf and bowling. His favorite Scripture is Psalms 34. Together, he and his wife Tangela, have a daughter, Dominique, and a son Michael.